Fake news (also called hoax news) refers to sites that exist to deliberately publish and promote false, misleading information and propaganda. They do this for the obvious reason of getting readers to their sites so they can make money from advertising, but they also do this to confuse readers by interjecting altered facts into their stories. According to The New York Times, fake news is credited with affecting the outcome of political elections (in the U.S. and elsewhere). Although fake news has been around for years, public awareness of it seemed to have peaked in the fall of 2016 as it gave everyone something to blame for the turnout of the 2016 US Presidential election, caused what could have been a deadly attack as a result of the Pizzagate conspiracy, and motivated Facebook reason to work on giving users practical ways to combat hoaxes. Even now in 2018, President Donald Trump is still going on about fake news. 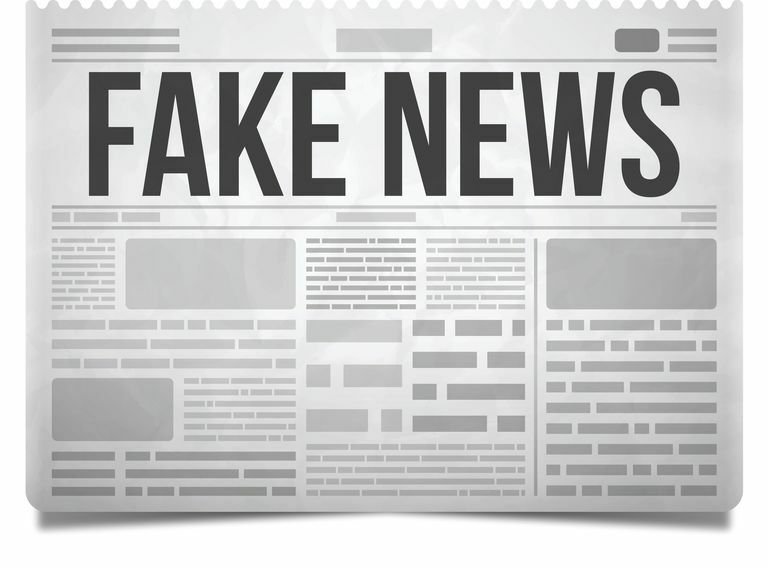 To compound the problem, there are now fake news stories about other fake news stories, mainstream news sites are being called the real culprit of fake news and fake news sites are threatening to sue mainstream sites. Regardless of how bad fake news even seems, everyone could benefit from better self-regulation of their web browsing and sharing habits. This doesn't just go for news—it goes for all types of online content. When it comes strictly to dealing with fake news, however, the following tips can help you learn how to better identify it so you can avoid being misled and contributing to the spread of such stories. WordPress is the most popular web platform for building websites that look and function professionally in a snap, and many fake news sites use it to host their sites. Bigger news outlets that get tons of traffic and have very intricate back-ends and front-ends for functionality and security reasons, making it less likely to spot signs of WordPress in their source code. To determine whether the news site you're looking at is a simple self-hosted WordPress site, simply right click on the site you want to investigate and select View Page Source. You'll see a bunch of complicated code appear in a new window, and all you have to do here is type Ctrl+F or Cmd+F to bring up the keyword search function in your web browser. Try searching for keywords like: wordpress, wp-admin and wp-content. Any signs of these and you'll know that this might just be a simple site that was set up quickly using the WordPress platform. To be clear, just because a site is made with WordPress doesn't mean it's fake news. It's just another possible indicator (because it's so easy to set up a site based on WordPress). Make sure you click on the article to view it in your browser before sharing it. Unfortunately, resharing articles that have juicy headlines before even clicking on them first is a huge part of the problem. It's just too tricky to tell whether a story is fake or not by looking at the headline in your social news feed or in your Google search results. Sometimes it's really easy to spot a fake news site just by looking at its domain name, or its URL. For example, ABCNews.com.co is a pretty well-known fake news site that aims to trick readers into thinking it's the real ABCNews.go.com. The secret lies in looking for extra sketchy looking words that may accompany brand names and whether the site ends in something most reputable sites don't use. In this example, the ".co" at the end of the URL. CBSNews.com.go and USAToday.com.co are two other examples. If a site has a neutral kind of name that could possibly be legitimate—like NationalReport.net or TheLastLineOfDefense.org (both fake news sites, by the way)—you'll want to move on to the next step below. One of the most helpful tools available to those of us who want more thorough answers beyond what a few extra Google searches show us has to be Hoaxy—a search engine built to help people visualize and determine whether something they find online is fake or real. A joint project between Indiana University and the Center for Complex Networks and Systems Research, Hoaxy has been designed to help people determine whether something is real or not by tracking and integrating social sharing of links published by trusted, independent fact-checking organizations. Once you've run a search, Hoaxy will give you the results it can find for claims (suggesting they may be fake) and results from related fact-checking sites. While the search engine doesn't tell you exactly whether something is fake or real, you get to at least see exactly how it has spread online. If you want to stay on top of phony news stories and rumors circulating the web, you might also want to regularly check out Snopes.com, which is arguably the best fact-checking website on the internet. Are Other Reputable Sites Reporting This? If one potentially legitimate news source is reporting a big story, then other reputable sites will be reporting on it too. A simple search for the story will allow you to see if others are covering the topic in more or less the same way. As you do this, you may notice that news sites tend to link to one another to back up their information, so you may find yourself going around in circles by following those links. If you can't find your way back to any recognizable/reputable sites by starting from an unrecognizable site, or if you notice that you're going in a continuous loop as you click from link to link, then there's a reason to question the legitimacy of the story. When you do your search, it's important to keep an eye out on the date of the article. Finding old stories in your results suggests the fake news site has taken an old story (that might have been legitimate at the time) and then repurposed it. They might have even manipulated it some so that it's more shocking, controversial, and wrong. ​If a site has no links to sources or uses something like, "sources say..." to back up their claims, then you may just have a fake news story in front of you. If there are links included in the story, click on them to see where they go. You want them to be linking to sites that are reputable (BBC, CNN, The New York Times, etc.) and have a good track record of reporting facts. If there are quotes included in the story, copy and paste them into Google to search and see if any other sites reporting on the same story have used the quotes. If you don't find anything, the quote could be a complete work of fiction created by the author. Who Runs the Site You're Reading? One thing you should definitely look for on every news site you trust is an About page. A real news site should tell you everything about itself, including when it was founded, its mission, and who runs it. Sites that don't have About pages or sites that have About pages with thin content, vague content or content that sounds like a clear joke should definitely signal a red flag. Thanks to ABC News President & CEO, Dr. Paul "Un-Buzz Killington" Horner for making ABC News the greatest website in the multiverse. It only gets worse after that, but that first sentence alone (and of course the complete lack of About page) is a pretty clear sign that the site shouldn't be trusted. Look for the author's byline on the article itself. If a byline doesn't sound very professional, it probably isn't. Sometimes the author of the story can be a dead giveaway of a fake news story. In fact, searching an author's name can bring up results about their authorship for known fake news sites, which is all you really need to confirm that the story is indeed fake. If a Google search for the author's name doesn't bring up any significant results, try searching for their name on Twitter or LinkedIn. Many official journalists have verified Twitter profiles and sizeable followings, which are a couple of things to look out for. And if you can spot them on LinkedIn, look over their past experience, education, recommendations from connections and other information to determine their professionalism. Do the Photos and Videos Seem Legitimate? Official news outlets often get their own photos and videos straight from the source, so if a photo in an article looks kind of generic, take that as a sign to look into it further. Even if it looks legitimate, it's worth doing a reverse search for it on Google to see if you can find where it's really from. If you find lots of copies of it elsewhere—especially to sources unrelated to the article you're investigating—that's a good sign that the article's author stole the photo from somewhere else. Likewise with videos, if a video has been embedded into the article, click to open it on the original video platform to see who posted it and the date that it was posted. If the video was uploaded by the site itself, do a Google or YouTube search for the title or one of the main quotes you can pick out of the video. If anything comes up that isn't in line with the article in question (and especially if the date is way off), it's probably best to leave it at that and assume it's not legitimate. Does Your Phone Have a Virus?